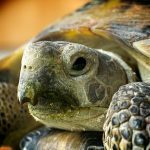 10 Most Dangerous Spiders to Stay Away From - Look out! 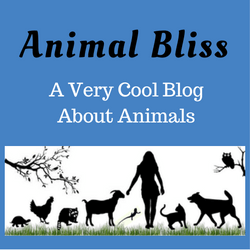 Whether you’re a fan of spiders or not, they happen to be fascinating critters. Spiders are air-breathing arthropods that have eight legs and chelicerae with fangs that inject venom. They are the largest order of arachnids and rank seventh in total species diversity among all other orders of organisms. Spiders can be found worldwide on every continent except for Antarctica, and have become established in nearly every habitat with the exceptions of air and sea colonization. As of 2008, at least 43,678 spider species, and 109 families have been recorded by taxonomists. Following are 10 of the most dangerous spiders you’re highly advised to stay away from. Brazilian wandering spiders are aggressive and venomous spiders of potential medical significance to humans and are found mainly in tropical South America, with one species in Central America. 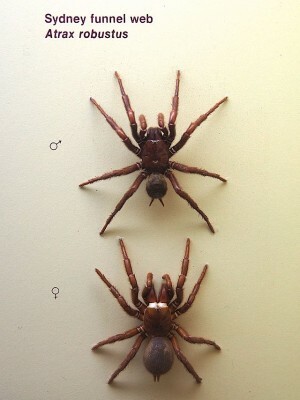 These spiders appear in the 2010 edition of Guinness World Records as the world’s most dangerous spiders. 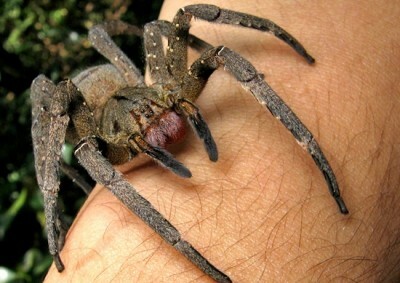 Guinness World Records states that although the Brazilian wandering spider venom is the most toxic, an effective antivenom is available and few fatalities occur. 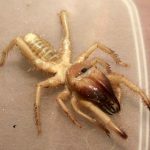 The six-eyed sand spider (Sicarius hahni) is a medium-sized spider with body measuring 8 to 15 mm and legs spanning up to 50 mm, found in deserts and other sandy places in southern Africa. 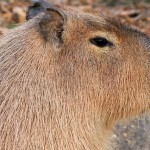 It is a member of the Sicariidae family; close relatives may be found in both Africa and in South America, and its near cousins, the recluses (Loxosceles), are found worldwide. Sicarius bites have been experimentally shown as lethal to rabbits within 5 to 12 hours. The Sydney funnel-web spider (Atrax robustus) is a species of Australian funnel-web spider usually found within a 100 km (62 mi) radius of Sydney, New South Wales, Australia. It is a venomous mygalomorph spider with a bite capable of causing serious injury or death in humans if left untreated. Latrodectus is a genus of spider in the family Theridiidae, many of which are commonly known as widow spiders. The genus contains 32 recognized species distributed worldwide, including the North American black widows (L. mactans, L. hesperus, and L. variolus), the button spiders of Africa, and the Australian redback. Individual species vary widely in size, but in most cases the females are dark-colored and readily identifiable by reddish hourglass-shaped markings on the abdomen. 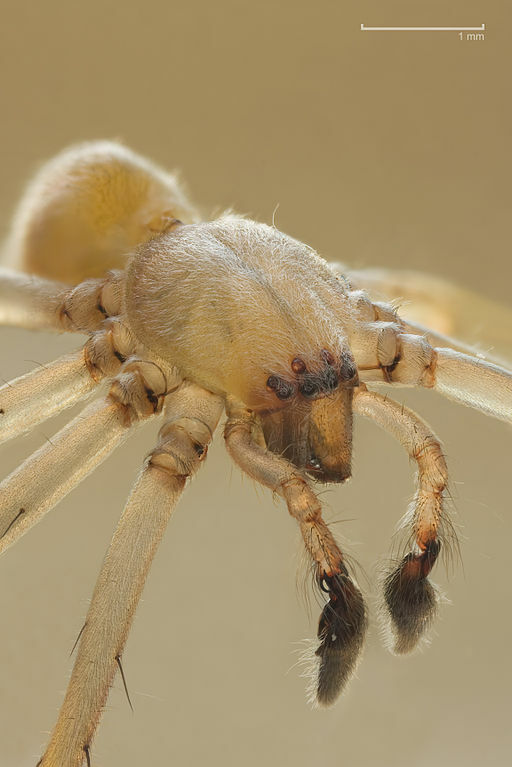 These spiders are considered one of the most dangerous spiders because their venomous bite is considered particularly dangerous because of the neurotoxin latrotoxin, which causes the condition latrodectism. 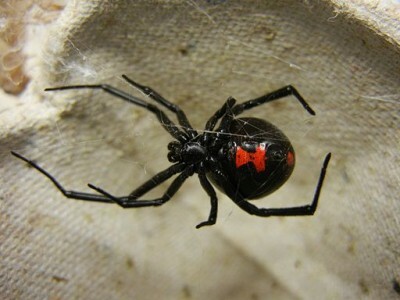 The female black widow has unusually large venom glands and her bite can be particularly harmful to humans. 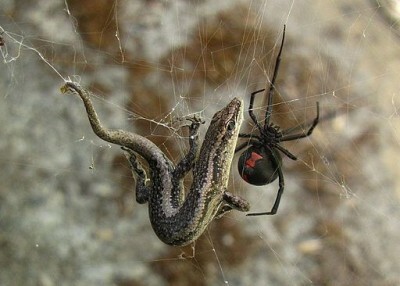 However, despite the genus’ notoriety, Latrodectus bites are rarely fatal. The redback spider (Latrodectus hasseltii), another of the most dangerous spiders, is a species of venomous spider indigenous to Australia. The adult female is easily recognized by her spherical black body with a prominent red stripe on the upper side of her abdomen and an hourglass-shaped red/orange streak on the underside. Females have a body length of about 10 millimetres (0.4 in), while the male is much smaller, being only 3–4 mm (0.12–0.16 in) long. The brown recluse spider or fiddleback spider, Loxosceles reclusa, is a spider with a venomous bite. 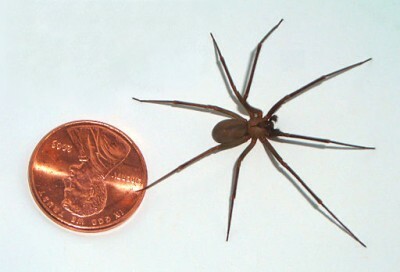 Brown recluse spiders are usually between 6–20 millimetres (0.24–0.79 in), but may grow larger. While typically light to medium brown, they range in color from cream-colored to dark brown or blackish gray. These spiders usually have markings on the dorsal side of their cephalothorax, with a black line coming from it that looks like a violin with the neck of the violin pointing to the rear of the spider, resulting in the nicknames fiddleback spider, brown fiddler, or violin spider. The red-headed mouse spider (Missulena occatoria) is found almost everywhere in Southern Australia, from open forests to desert shrublands. It is the largest (females up to 24 mm, males up to 12 mm) and most widely distributed Missulena species, because the spiderlings are wind-dispersed. (Spiders normally disperse by walking.) Mouse Spider is considered one of the most dangerous spiders because their venom may be very toxic, although few cases of serious bites have been recorded. 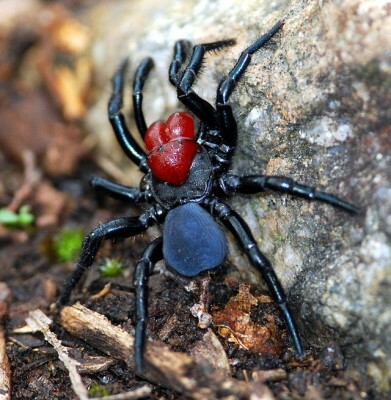 Most recorded bites only caused minor effects, with funnel-web spider anti-venom having proved effective as a treatment. Chinese bird spider is an old-world tarantula, found in the tropical rain forests of China and Vietnam, with a typical leg span of up to 7 inches. The bird spider preys on numerous small insects and other creatures, such as cockroaches, crickets and mice. The Chinese bird spider is a rather aggressive species, and can bite humans if disturbed. 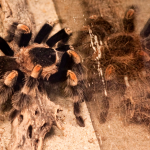 Its venom is the subject of much toxicology research, and while the effects of this spider’s bite on man are not well documented it is frequently lethal in small doses to laboratory animals such as mice and rats. As a result, it is generally regarded as a highly venomous species. Poecilotheria ornata, or the Fringed ornamental tarantula, is a large arboreal spider. Their leg span sometimes reaches 10 inches (25 cm), and is probably the second largest of the genus, behind Poecilotheria rufilata. 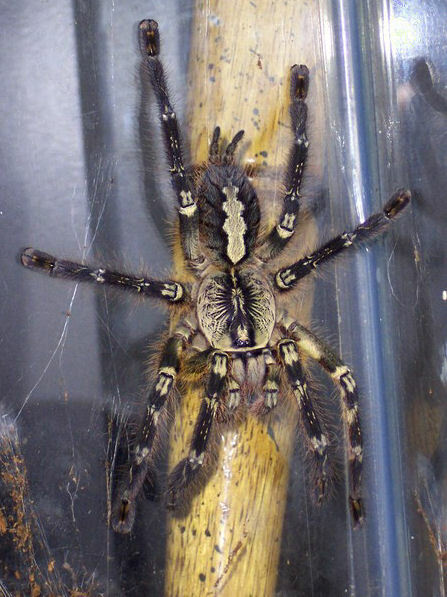 Although there has never been a recorded death from any tarantula bite this species is considered to have a medically significant bite, with venom that may cause intense pain, and extreme muscle cramping judging from the experience of keepers bitten by this species. Cheiracanthium mildei is a species of spider from the Miturgidae family. C. mildei is commonly known as the Northern yellow sac spider. 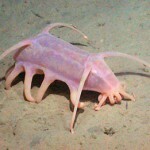 It can be found across the Northeastern United States and Eastern Canada, as well as most of Northern Europe. Although this spider can bite humans, the effects appear to be mild. Do you love spiders, or do you fear them? Have you ever been bitten by a venomous spider? Great info. I am glad we just have brown recluse spiders and black widows here. I killed a recluse in my house just the other night because I did not want it to hurt my cat who was chasing it. I am glad he alerted me to it. Thanks for sharing, but I hate spiders. I know they offer benefits and keep down pests. I don’t kill one unless I have too. I would have tried to relocate it, but I was too scared too. Thanks for stopping by, Mary. To tell you the truth, I probably would have killed the recluse too. I usually try to re-home too, but don’t want to get that close to a venomous one. Yikes! I’m not a big fan of spiders either but also recognize their benefits. Thanks so much for your comment! I’m off to visit your site now. Ciao for now. Kinda upset about the finding out they test venom on bunnies. That is crap and wrong. They already know they can harm you so no further test should be of any value. 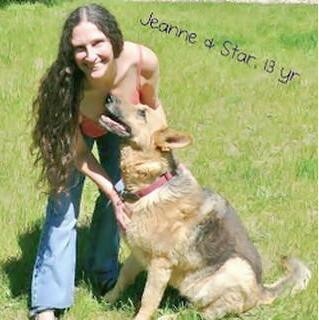 The only thing that healed my mother’s Brown recluse bite was the dog licked it. Des did not help. It was to her bone. After dog licked started healing so she let it do it til it healed and it did fast.after that. Glad we only have a couple of bad ones here in the US. Sorry about that, Camille. 😉 I was even having the willies writing it. But it is good information, so it had to be done! Thanks so much for taking the time and possessing the bravery. I’m very proud of you. Peace out. Ah, yes, the produce. That would scare me if I’d be around when a co-worker was bitten. Yuck. I find them interesting, but I wouldn’t call myself a fan, by any means. 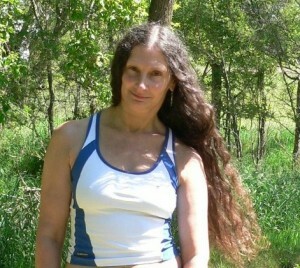 Thanks for stopping by, Alana, and for leaving a comment as well. Take care! 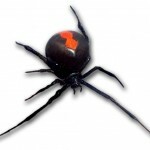 I once came across a redback in South Australia, right outside our back door. We raised our hands and backed away. It never did me any harm, and I wasn’t about to tread on it simply because it could be deadly–so could cars. Chuckle. You did? Oh my! I assume you knew, then, that it was venomous. Wow. I didn’t really expect a reader to respond that they’d come across one. That makes it even more fantastic. I saw a black widow once, but it was dead. And huge, so I’m glad it was dead. But I’m like you, I wouldn’t have killed it. Burn the house down, maybe … 🙂 Thanks for your visit! Ciao for now. I know what you mean, Christina. While I was doing the research and looking for images, I was questioning myself. Wondered what sort of dreams I’m going to have tonight. 🙂 Thanks for checking it out, though! Have a great rest-of-the-week!